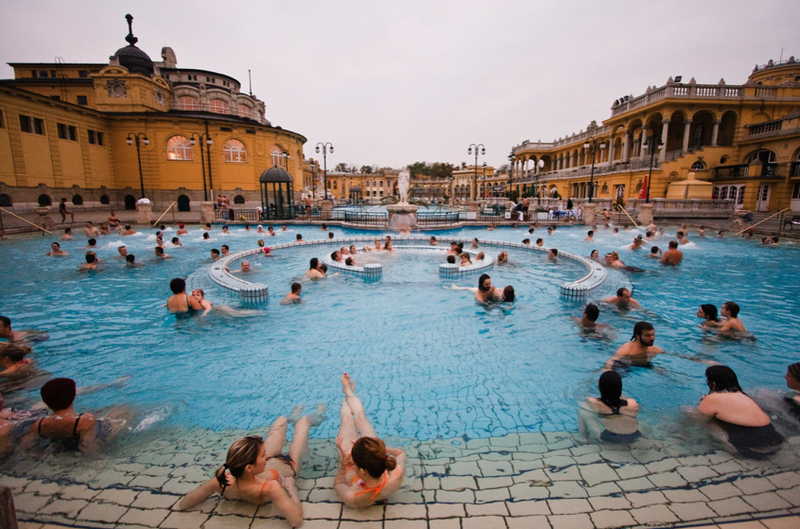 Szechenyi Spa Baths in Budapest is one of the best and largest spa baths in Europe with its 15 indoor baths and 3 grand outdoor pools. 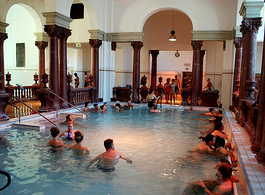 Come and visit our beloved baths. 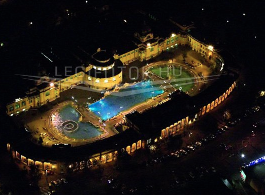 Szechenyi Baths (built in 1913) is the most visited and much praised attraction in Budapest: relaxing, fun, affordable and, at night, romantic. In addition to the marvelous medicinal natural hot spring waters in the 18 pools, there are 10 saunas / steam cabins, several massage therapies, facial treatments, and more. Szechenyi Spa Baths is in the biggest green park of Budapest, in the City Park, close to a bunch of Budapest attractions. The Neo-baroque palace was specifically built for hosting Szechenyi Baths as Hungary has been the country of baths (and Budapest the City of Baths) for many centuries: starting with the Roman settlers who built the first spa baths, through the 16th century Turkish occupiers who built many of the famous and revived Turkish baths in Budapest to the 19-20th century natural medical trends that promote aqua therapies and their deeply beneficial effects. The beautiful building of the spa baths is the design of Gyozo Czigler (Győző Czigler) who started to build Szechenyi Furdo in May 1909. 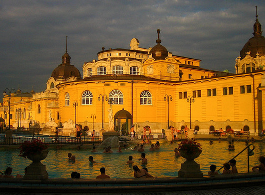 Come and enjoy your time in Budapest in Szechenyi Spa Baths, in a beautiful, richly decorated palace. The perfect place to chill out, to get to know locals, make business deals and fall in love. I bought a ticket via PayPal and didn’t get a confirmation email. I would like to confirm that we have received your booking and the auto confirmation has been sent to your given email address. Now I have re-sent the confirmation from our backup email address to make sure you will receive it. Please check your spam folder too. Could you please let us know if you have received it this time? I bought a ticket from you. How long does it take to get a confirmation mail? 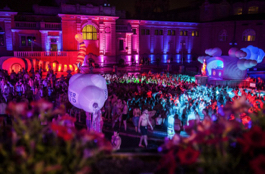 We are a party of six and will be in Budapest from 15th to 19th October. Do we need to book our visit to your baths in advance or may we wait until we arrive in Budapest and choose the best weather day? we recommend the advance booking if you wish to have massages as well, as the appointments are normally booked up in advance. If you decide to have tickets only you can book them online even on the night before the baths visit. 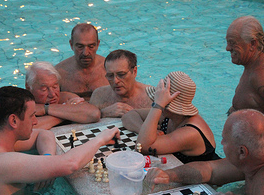 Hope we can welcome you at Szechenyi Baths! Hi! I bought 2 tickets via Paypal anfd I didn’t receive any confirmation mail or tickets yet. Can you please assist me with this? Thank you! Hi when will March 2019 tickets be available as I am bringing my boyfriend to Budapest to your party for his 30th. tickets for next year’s parties will be available for booking at the end of the year. I booked the beer spa and baths for 3 adults for Weds 19th Sept 2018. I received an invoice which shows as paid but it doesn’t display the admission date and time? Is this all I need or should I have a ticket as well? I’m afraid I cannot help you with the Beer Spa Treatment, as it is not available on our website.